At Tuscarora, we custom produce each of our reclaimed wood projects – wether it’s hardwood flooring, beamwork or a one-of-a-kind new build. 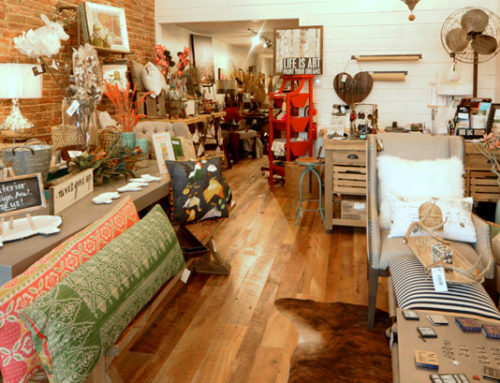 Our reclaimed hardwood flooring often requires a specific finish that is as unique as the wood itself. The following is a general description of our floor finishing process. After we mill the reclaimed lumber at our millshop in Covington, Ohio, the raw hardwood flooring is then installed. Once installed, we bring in a finishing crew to fill all the knot holes and blemishes with an epoxy. The crew sands the floor using an industrial Lagler walk behind sander. We often use various machines and sanding techniques depending on the type of reclaimed wood and to achieve a specific finished look. 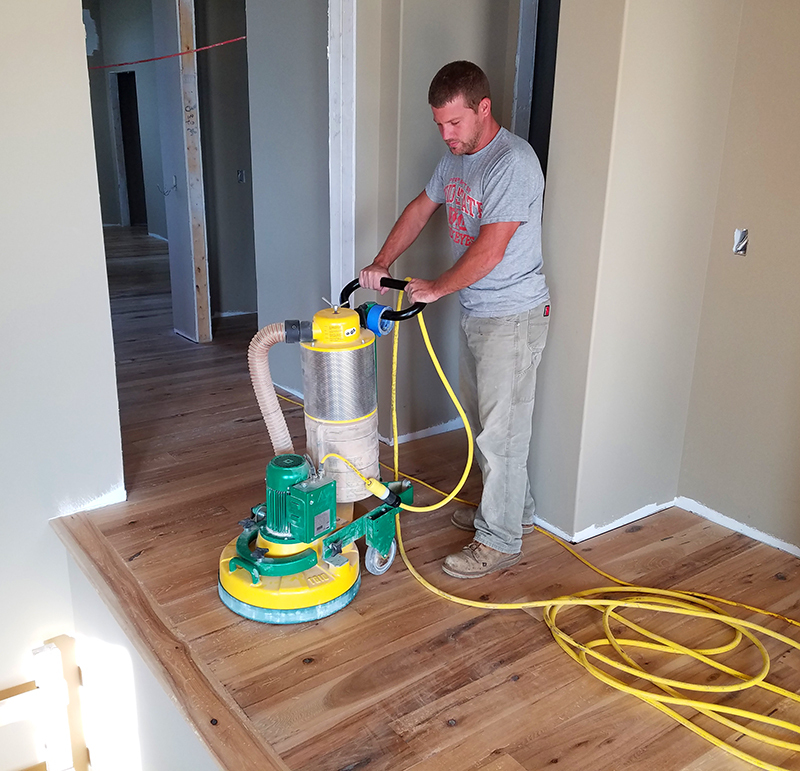 Once the floor is completely sanded, we water pop the floor to accept more oil. The crew then applies a WOCA Diamond Oil in a two coat process per the custom color samples chosen by the home owner. The oil is buffed into the wood using a walk behind buffing sander. This buffing sander heats up the wood which allows the oil to penetrate into the wood fibers. By using a penetrating oil, we avoid the typical plastic topcoat finish that is standard in polyurethanes and laquers. This penetrating oil gives the flooring a matte finish which works really well with reclaimed wood flooring. We also use 100% VOC (volatile organic compounds) free products that are plant-based, chemical free and nontoxic. 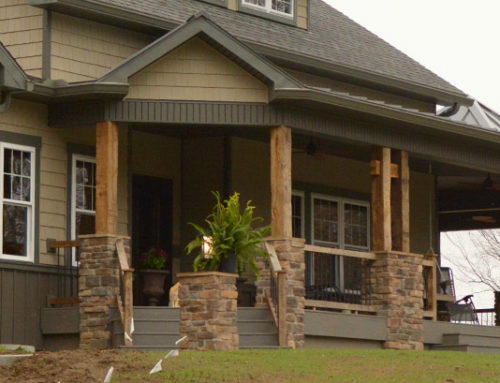 Our finishing products are dry in six hours which means the homeowner does not have to vacate their home for several days to accommodate the curing process of a traditional finish. 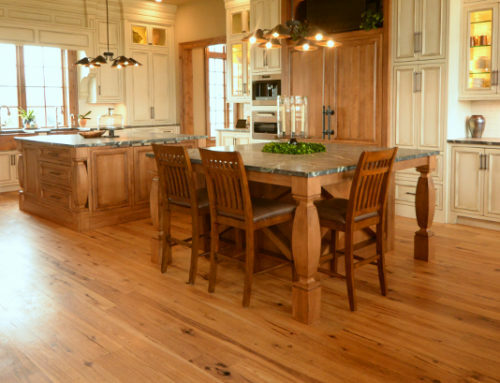 As any floor is lived on throughout the years, scratches and blemishes will occur. 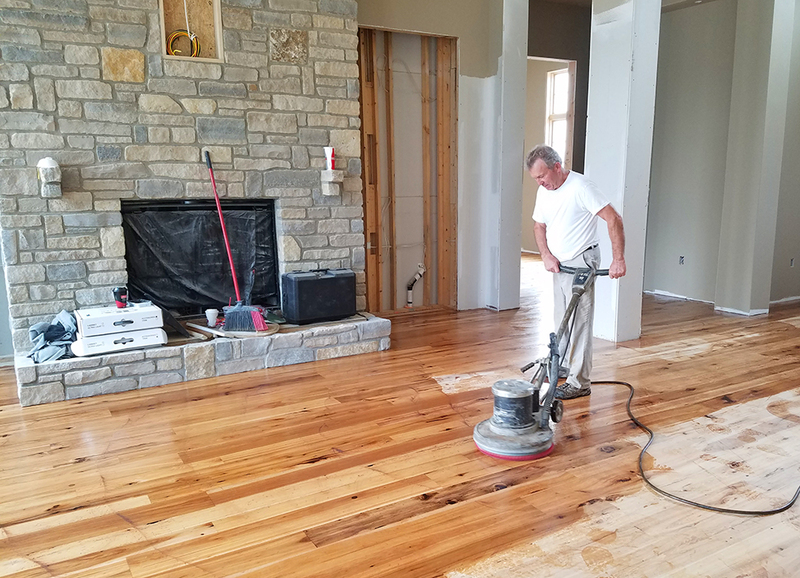 Instead of completely sanding the entire floor and starting over, with penetrating oils, a scratch or blemish can be spot fixed and the finish easily blended in. 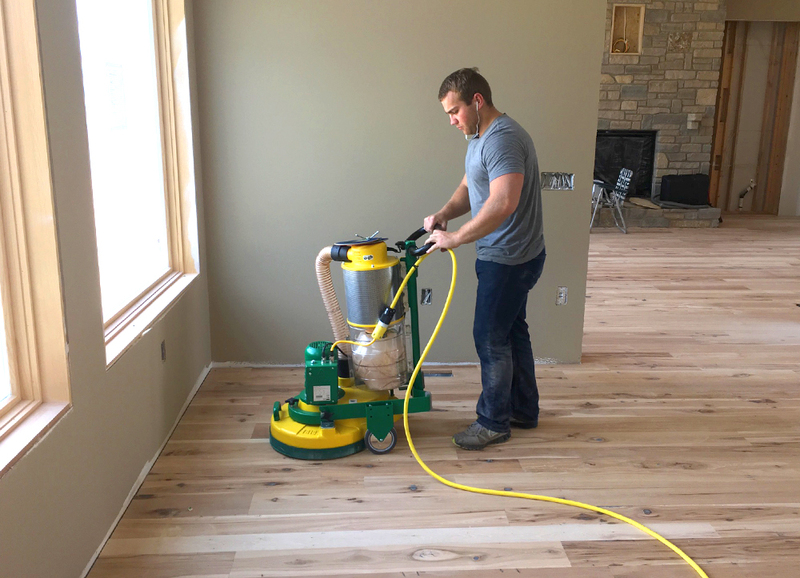 If the flooring would ever need to be refreshed or revitalized, once again we can just buff another coat of penetrating oil into it and within six hours it’s good as new. 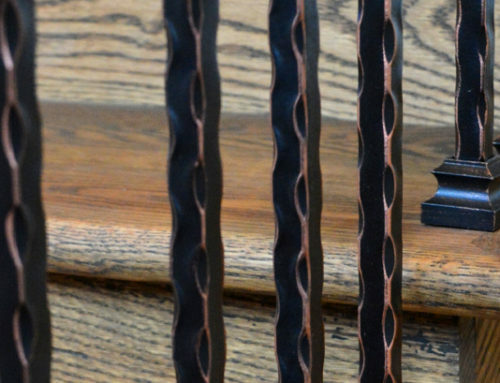 We take a lot of pride in the quality of our reclaimed wood products and their ability to age well. Our dedication to a quality finish, using 100% VOC free products that require easy maintenance have lead to many positive comments from our customers on this style of hardwood floor finishing. Want to find out more? 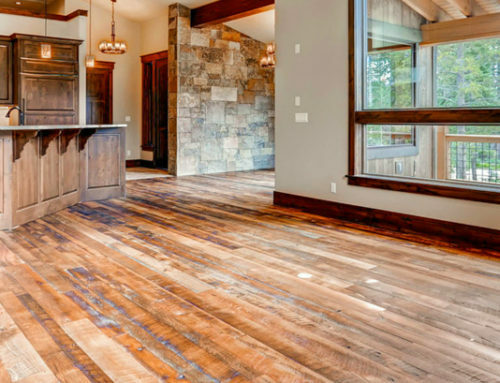 Contact us today for more information on our custom reclaimed wood flooring and finishes.